Kikuoka explains to Asuna and Rinko what Rath is doing with Kirito and Project Alicization. Episode 6 - "Project Alicization"
I hope you like alphabet soup with your word salad! So yes, ALICE is an AI that is raised from a child in a virtual world. Kikuoka's version of Alicization for the goody-goody artificial souls of Underworld is get them okay with murdering people to install them into military weapons. Um, they're going to have to overthrow the Axiom Church in this virtual world to do that, and I suppose they think Kirito is the guy to do it. Funnily enough, and I mentioned this last episode, these idiots already created a top-down AI in Aincrad. 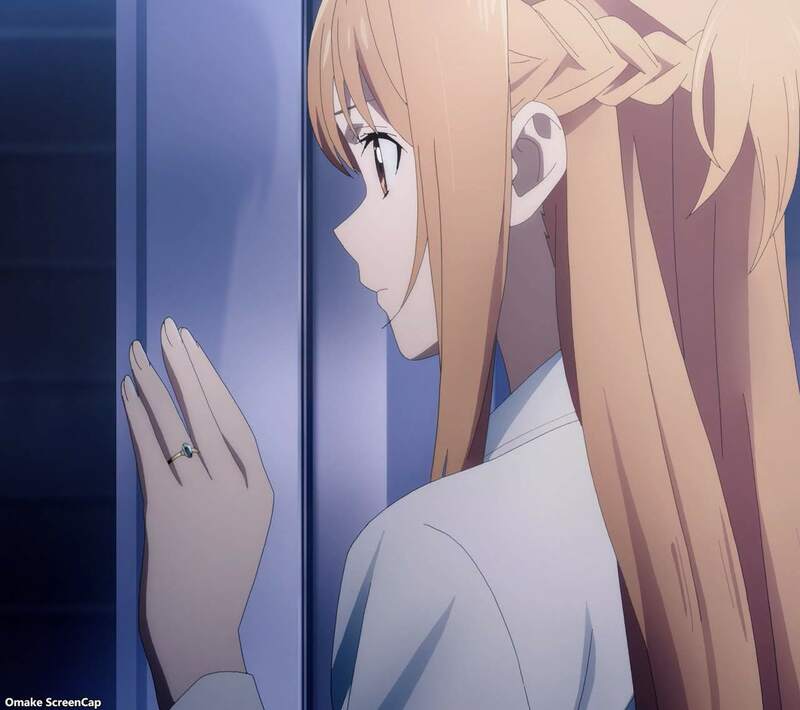 It's just that her mama and papa are Asuna and Kirito, but that little family will just keep that a secret for now. This is also why Asuna is so concerned for AI rights. She and Kirito have skin in the game. The most important part of the episode for me was seeing a backup soul go crazy and obliterate itself in about a minute. Uh, maybe it's just that Higa guy that has a problem with being sensory deprived? However, this whole scene shows that Kirito was probably given his backup soul and he's doing alright because he woke up in a familiar world with his simulated body in Underworld. He's also a bit more malleable with occupying strange looking bodies or none at all from his other experiences, like the invalid Yuuki being the strongest sword fighter in Alfheim. So, we're all caught up and it's time to go back to Underworld and hopefully meet this blue-haired goddess. Alright, so everything can be explained with backup souls, quantum computers, and baby souls raised to adults in a game. Too bad they were all such good people that they'd never want to break the rules and kill people for the military. Why didn't they take a look at those Sentinel guys? They look like they'd love to execute "sinners." That was actually a pretty disturbing scene to watch Higa's copy go insane. Maybe Higa is the problem and not the backup procedure? Perhaps people should be trained in sensory deprivation before getting copied. So, they wanted Kirito to make somebody break the rules? Sounds about right. That Eugeo kid had a system alert code 871, and these people didn't catch that either. I'm not so impressed with these Rath guys. Hee. I saw that look from Lisbeth about Kirito getting another harem member. The central city is called Centoria. Good to know for next episode. Ha. 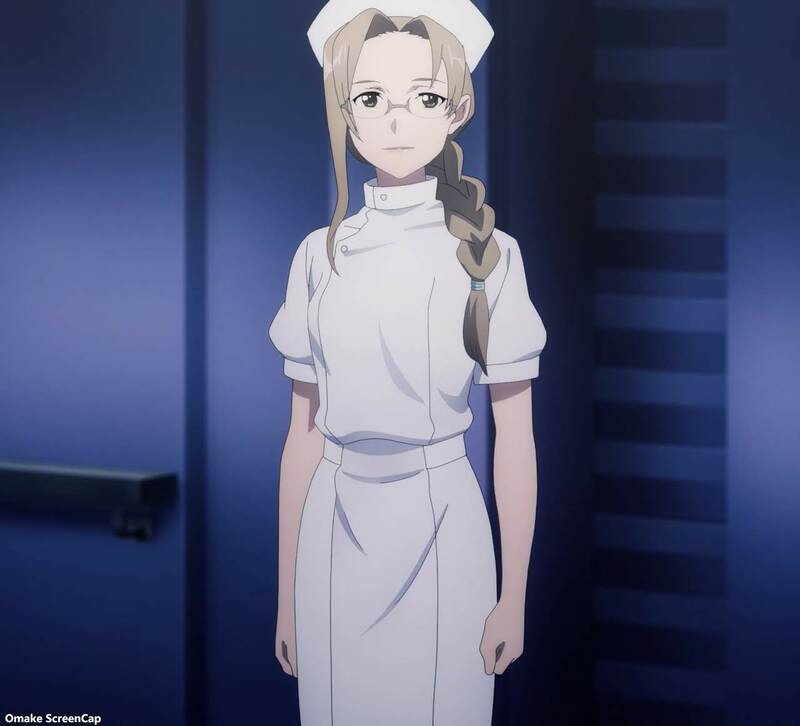 I like this nurse Aki. Lots of lady sergeants this anime season. Confession time. 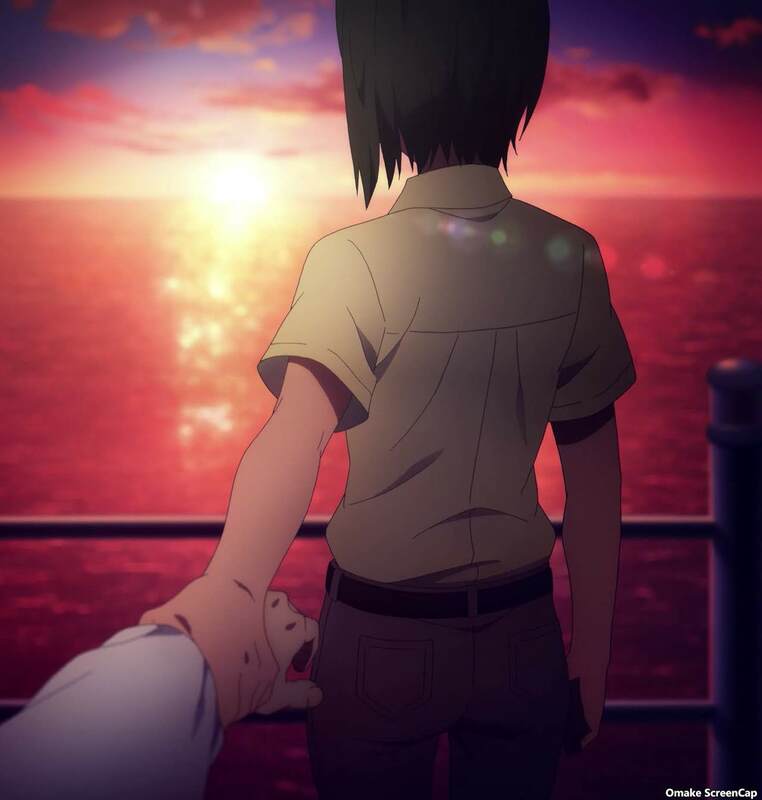 Rinko wasn't held against her will in taking care of Kabaya's body. That inert explosive device was his "gift" to her so she wouldn't get jail time. Rinko is starting to see Kabaya again. It wouldn't be a surprise to see him pop up again because of the SEED game engine. Next time, sword stuff in Centoria?